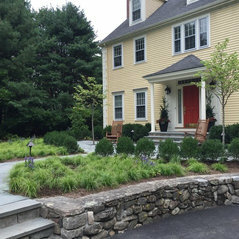 Inge Daniels Design works with civic, institutional and residential clients in New England to create thoughtful, innovative landscapes. Our landscape solutions redefine the environment to create lasting, sustainable spaces that fit your needs. 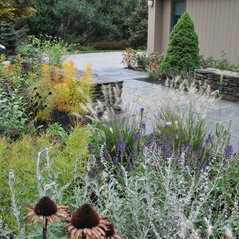 Our designs embrace the seasons while enhancing the site's natural characteristics to instill a lasting sense of place. In collaboration with our clients and their architects, engineers, contractors, interior designers and craftspeople we create practical spaces that function with beauty. Inge Daniels is a registered landscape architect with over 10 years of experience in the design and project management of complex landscapes. Prior to founding Inge Daniels Design in 2012, she was Senior Designer at the award-winning firm Michael Van Valkenburgh Associates (MVVA) where she collaborated on multi-disciplinary teams and contributed to dozens of institutional and civic projects world-wide. 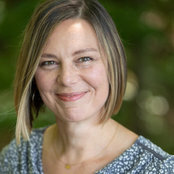 Inge holds a Master of Landscape Architecture degree from Harvard University's Graduate School of Design where she was awarded a Certificate of Honor from the American Society of Landscape Architects and the prestigious Janet Darling Webel prize for special achievement in design. She co-chairs the Holliston Parks and Recreation commission where she oversees the management and development of town parks. Commented: Please I want to know who makes those li...Closest I can find is Jezebel Gallery's Lily light.